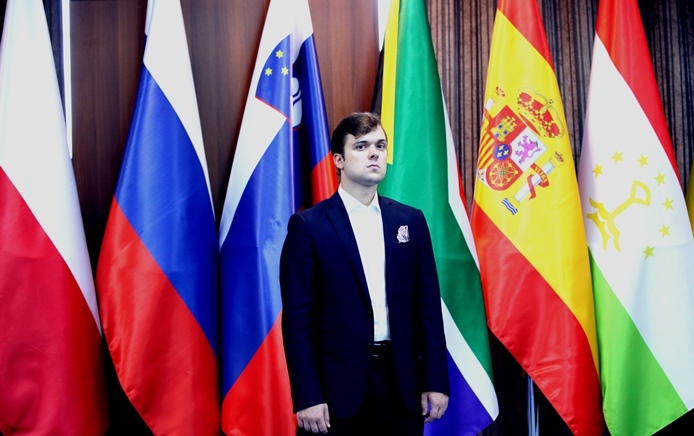 Levon Aronian is off to a winning start in the FIDE World Cup quarterfinals after he caught Vassily Ivanchuk out in the opening and called the move his opponent eventually made after a 42-minute think on move 10, “a bit suicidal”. From then on Chucky played even faster than he had to until abruptly resigning on move 24 in a position where there was still material equality. 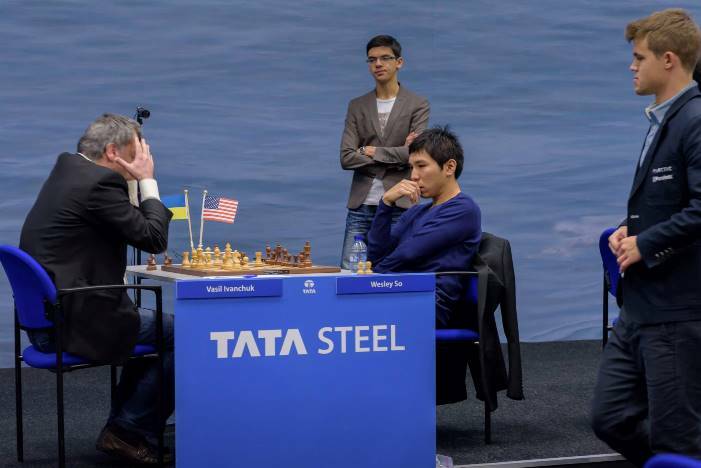 Elsewhere Fedoseev-So and Rapport-Ding Liren gave themselves a rest day with quick draws, while MVL wriggled out of a tough position against Peter Svidler. 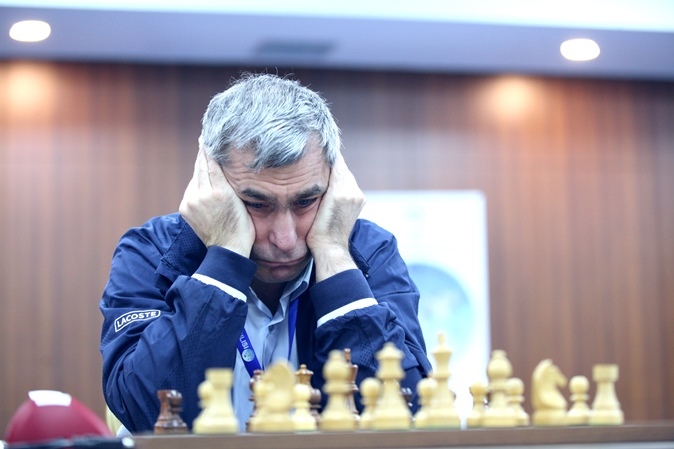 Up until this point in the 2017 FIDE World Cup Vassily Ivanchuk had been superb. He needed tiebreaks against his first two opponents, but didn’t lose a game, with the only eccentricity being that he arrived a few minutes late to one of his encounters with Poland’s Jan-Krzysztof Duda. Then we witnessed phenomenal victories over Vladimir Kramnik and Anish Giri, with the win with the black pieces against Kramnik an almost flawless demonstration of technique. 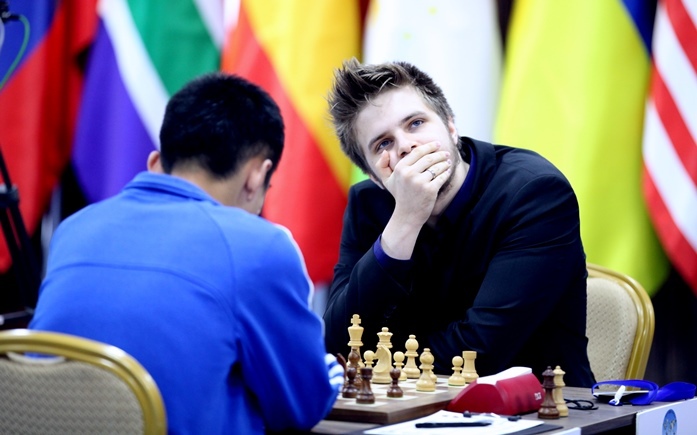 He’d earned a rest day to prepare for his quarterfinal against Levon Aronian. Does the problem of difficult opponents exist at the elite level, or is it just a string of bad luck which happens to affect encounters with particular opponents? 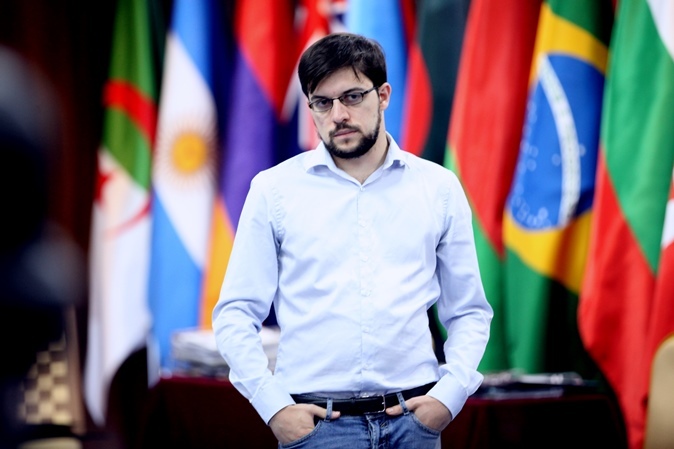 Levon Aronian: It definitely exists. 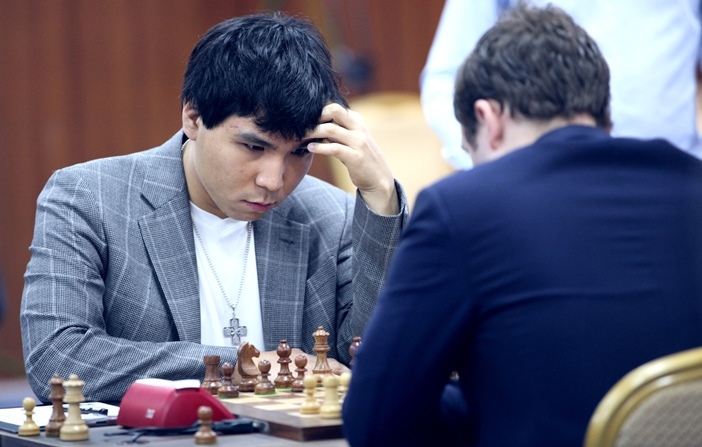 You often witness how one chess player scores a clean sweep against another, and from a psychological point of view it’s held that you play very strongly if you’re used to beating a particular opponent. A lot still depends on the opening, when you get positions that you like, while your opponent is simply playing “your” opening – that’s a fashion just now – and hasn’t got round to coming up with his own. In principle, though, it’s a problem you can fight against. At some point I had a terrible “minus” against Ivanchuk, while now it seems it’s not bad at all (smiles). I recall it was -7 or maybe even -8, but I’ve managed to return that to somewhere in the region of -1 or -2. Levon did that, of course, by beating Ivanchuk. After Ivanchuk won both their games in Linares in 2009, Aronian went on to win 6 classical games to Ivanchuk’s 1, including both their games in the 2013 Candidates Tournament. 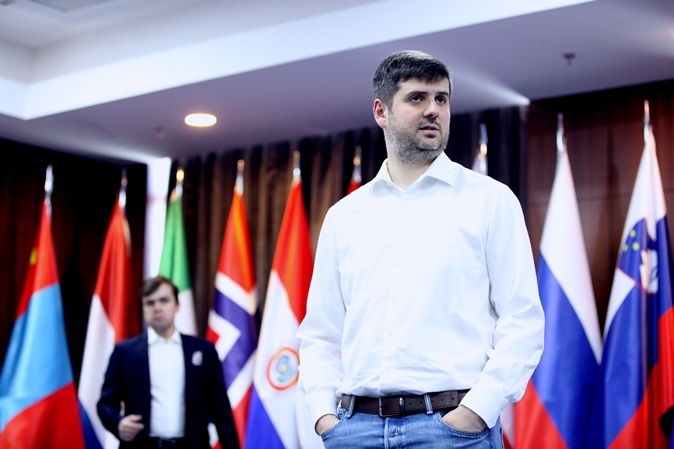 That may have been at the back of Ivanchuk’s mind in the run-up to the match, though on the other hand, Levon has this year shown he can make anyone, including the likes of Magnus Carlsen and Wesley So, look foolish at the chessboard. Levon played the English Opening and, up to a point, it seemed uneventful except that Ivanchuk had begun to think on move 2 and both players had used up a reasonable amount of time when Ivanchuk made the move 9…a6? rather than developing one of his kingside pieces. The question mark after the move could only be added confidently after what happened next, since the “0.12 Equal” evaluation of Stockfish 8 at a depth of 22 was giving nothing away, and Ivanchuk only spent a minute and a half on the move. And then came 10.d4! I think by that moment he realised he misplayed the opening, because Black is not able to play c5, simply, and if he doesn’t then I play Ne5 and the position is rather unpleasant. It would have been more practical, of course, for Black to proceed with the passive Nf6, Be7, but that position is very, very pleasant for White. White just puts the rook on d1 and just maybe some Bg5. I don’t think Black is in time to play c5, so it would be a very passive position… which I thought Vassily would do. I think it was more or less a principled position. Black has done everything to play c5 and now he has this position where if he doesn’t he’s still in real trouble. 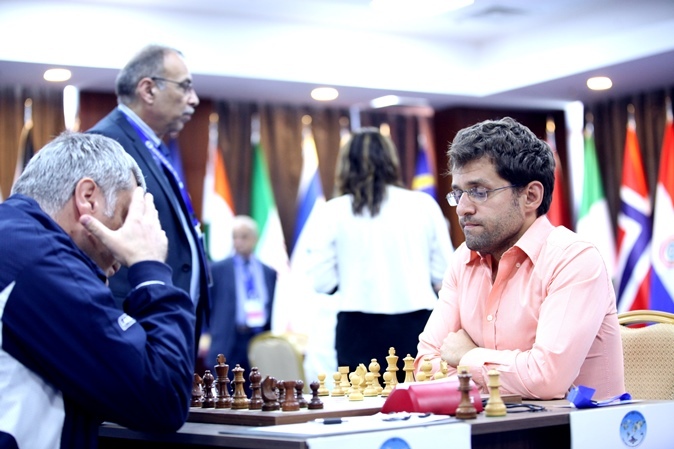 Aronian wasted no time in replying with 11.d5! and after 11…exd5 the key move 12.Nh4! There’s no reason to doubt the verdict that Black is lost, but there are still few players in world chess who would have chosen this moment to resign, as Ivanchuk did. Material is equal in a complicated position with many pieces remaining on the board and, more importantly, this is the first game of a World Cup quarterfinal match. Even if the odds of saving the game were 5% it would surely have made sense to play on for a while rather than meekly accept a tough match situation. 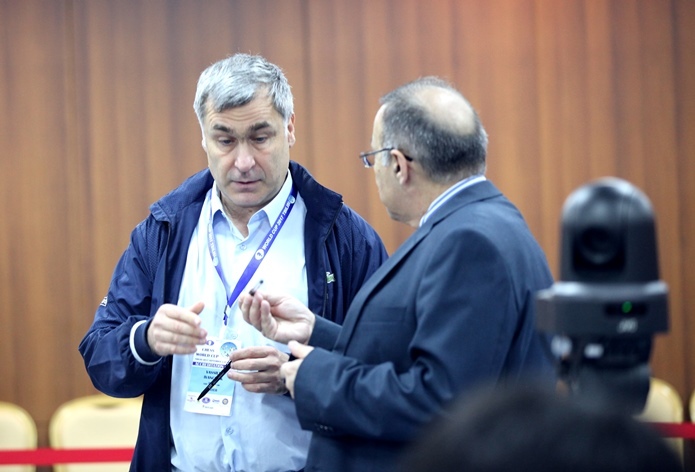 Ivanchuk must now win with White on Saturday or he’s out of the 2017 FIDE World Cup. Levon was asked if he was satisfied and responded, “Any time you win a game you can’t complain” and, “Generally winning a quick game is always a pleasure,” though he knows more than anyone what it means to play below his usual level just when the stakes are highest. He also had, perhaps for the first time in living memory, an interesting answer to the question of what he’d done on his rest day the day before. He visited the Armenian Embassy in Tbilisi and got some tips from Ambassador Yuri Vardanyan, a world record holding weight lifter and Olympic gold medalist. Levon wouldn’t reveal what the tips were, but it’s likely he’ll have some heavier weights to lift in the coming days! The two underdogs in the second half of the bracket, Richard Rapport and Vladimir Fedoseev, both had the white pieces and didn’t hang around. Rapport-Ding Liren was drawn in 11 moves in a position where if anyone was better it was Black, while Fedoseev-So ended after 19 moves of a Petroff Defence that went the way such games used to go until players started castling on opposite wings and playing for mating attacks. The young underdogs may feel their chances increase in rapid chess, though to get there they have to survive with Black on Saturday. 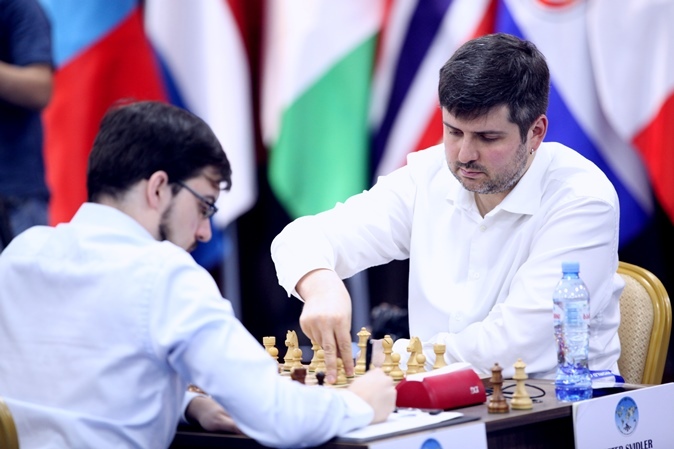 The one draw that certainly wasn’t a formality was Peter Svidler’s clash with Maxime Vachier-Lagrave. As early as move 1 it seems there was a surprise, since according to our database meeting 1.c4 with 1…c5 was something Maxime had last done in 2002, when he was 11 or 12 years old. White had the simple plan of targeting the c5-pawn with Nd2-b3 and possibly Rhc1 after Ke2, though after 22…Be7 in many lines Black picks up the h-pawn in exchange for the c-pawn. Yes, it definitely felt that way, but apparently the machine holds it, or a close approximation of that, so less sad than I was immediately afterwards. After that relative calm, Saturday is likely to be much more interesting. Ivanchuk must try and beat Aronian, all the players will have the looming prospect of being knocked out, and favourites MVL, So and Ding Liren will have their one chance to assert their dominance with the white pieces and spare themselves tiebreaks. Four places in the semi-finals await! The World Cup starts in 1 week - predictions?